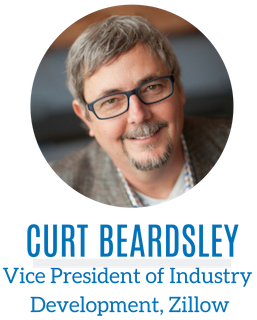 As the Vice President of Industry Development for Zillow Group, Curt Beardsley is responsible for Zillow, Trulia and RealEstate.com’s MLS and association-focused industry relations strategy and outreach. His expertise in technology, trends and the future of the real estate industry has afforded Curt many speaking engagements, and inclusion in the 2013 and 2014 Swanepoel Power 200 list of most powerful people in U.S. residential real estate. Prior to Zillow Group, Curt acted as Executive Vice President of Industry Development for realtor.com®. 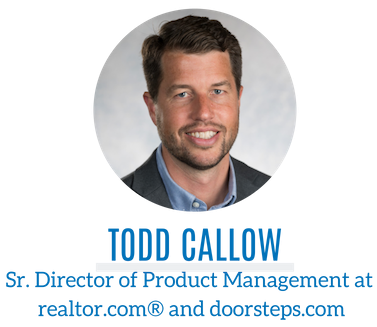 Currently, Todd Callow leads the web and mobile product development teams for realtor.com® and doorsteps.com. Prior to this role, he held leadership positions across multiple functional areas for Move Inc., where he led acquisitions of the ListHub and SocialBios businesses. Todd also served in various roles at Intuit, Arthur Andersen and several smaller startups across Los Angeles and Silicon Valley. 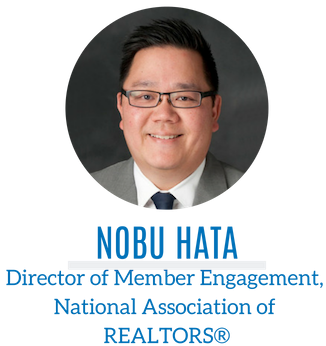 Nobu Hata is the Director of Member Engagement for the National Association of REALTORS®. A former top producing REALTOR®, Nobu specializes in helping members, brokers and Association executives integrate new-school techniques into their existing practices. Nobu focuses on techniques that ultimately reduce friction for members, buyers and sellers, increase productivity and earn trust and business in the ever-changing world of real estate.